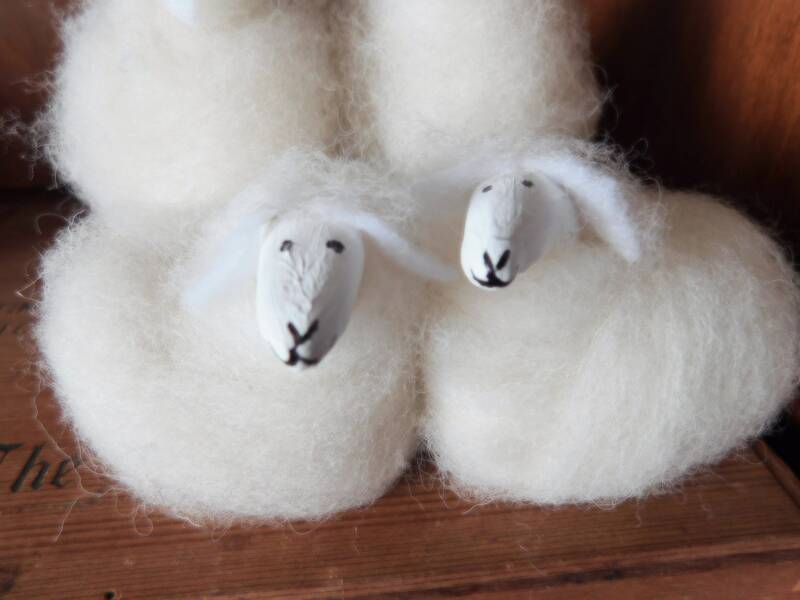 A pair of Wee Little Sheep for your home. 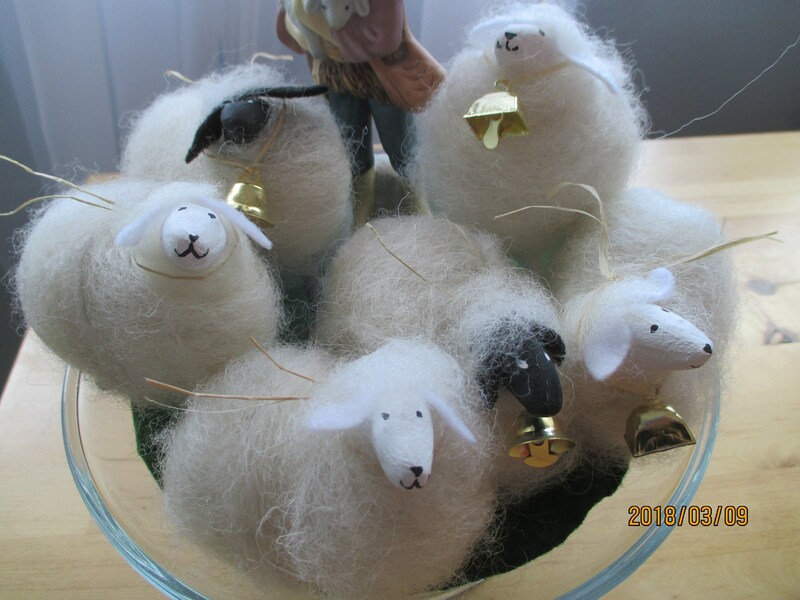 These little sheep are crafted by me using the wool from my flock of spotted sheep. 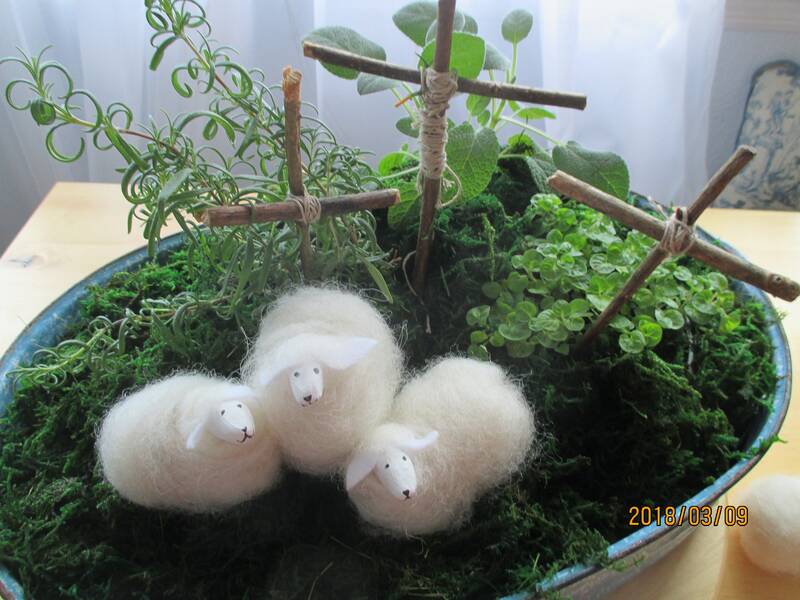 They are perfect for table arrangements for Easter and spring and also for your Nativity scene or creche. 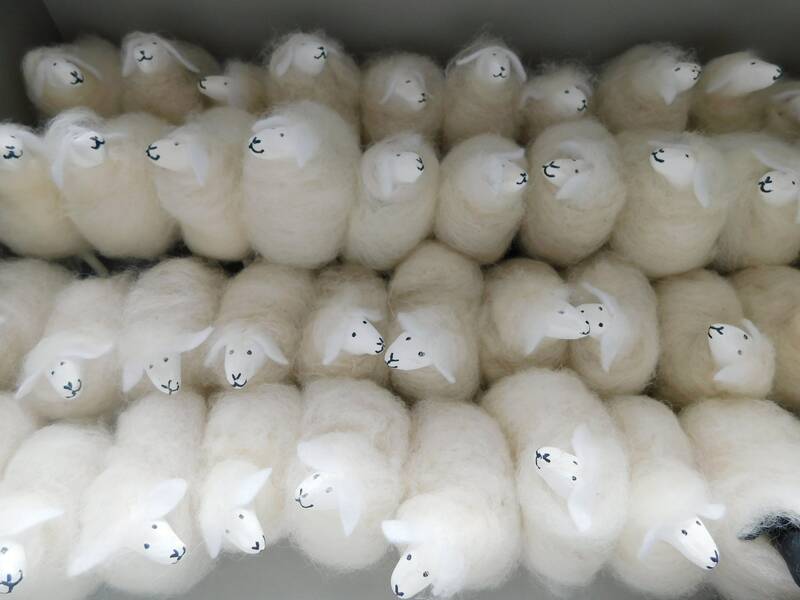 If you like sheep but can't have the real live woollies then maybe these little sheep will appeal to you. 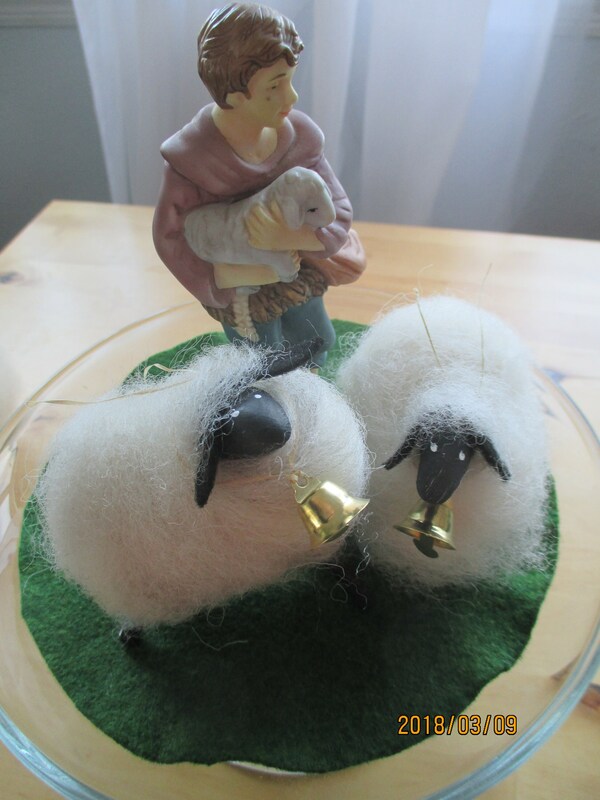 This pair is more like the Suffolk our daughter raised in her 4H and FFA years , with their black faces, ears, and legs and white wool. 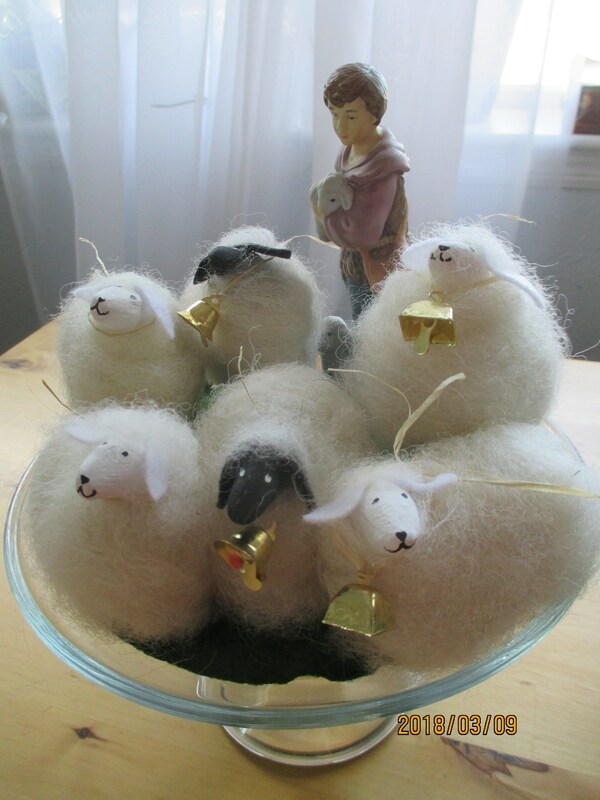 These little sheep can be put away after Easter & spring decorating are over and then used at Christmas in your Nativity scene. 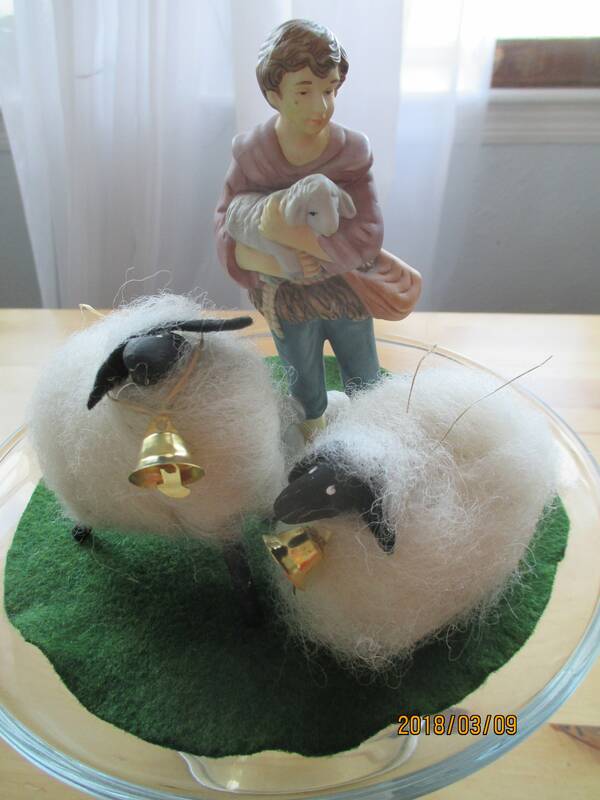 The shepherd in the picture is 6 " tall , the average size of a home Nativity or creche. 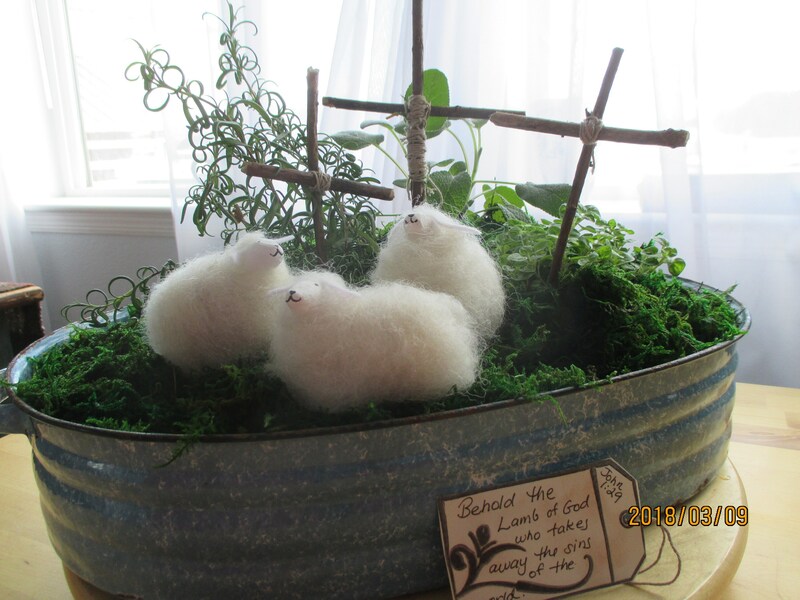 These little sheep are selling for $15.00 a pair, one sheep is standing, the other laying down. 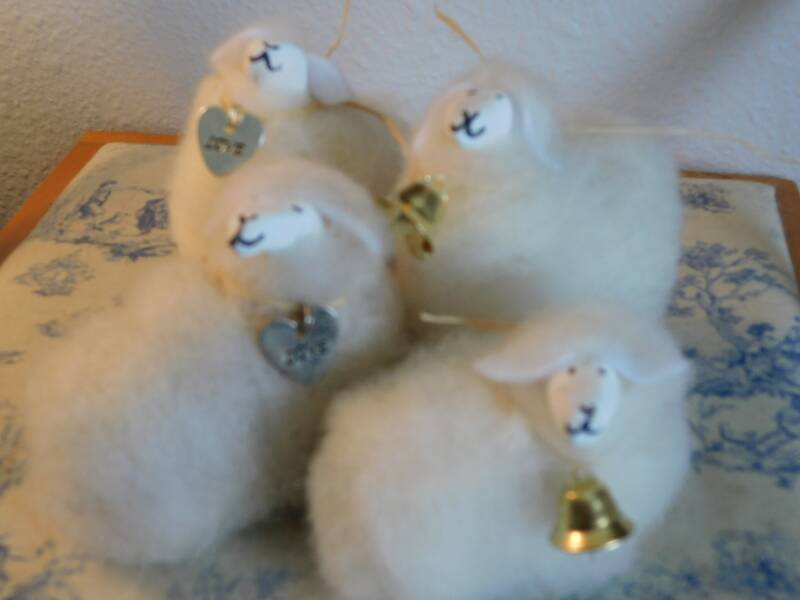 Each sheep wears a bell around its neck attached with raffia . 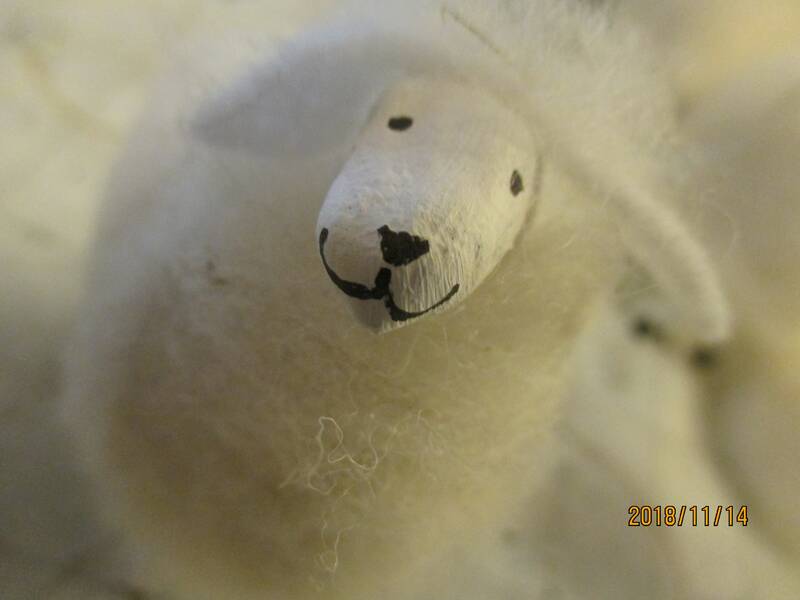 Please let me know if you prefer the black faced ( Suffolk) sheep , otherwise I'l send a pair of white-faced sheep.